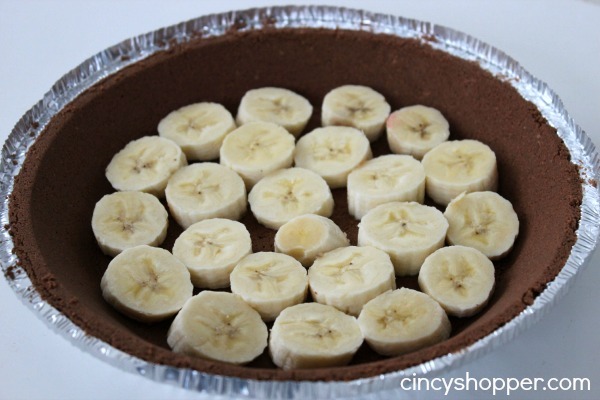 This Quick & Easy Banana Split Pie Recipe is absolutely PERFECT. Can I mention once again how PERFECT this pie really is? ha ha! Today I was really in the mood for a yummy banana split and decided to get a bit creative and create a yummy banana split pie for us to enjoy this evening. After indulging in our Quick & Easy Strawberry Pie, another pie was a must. 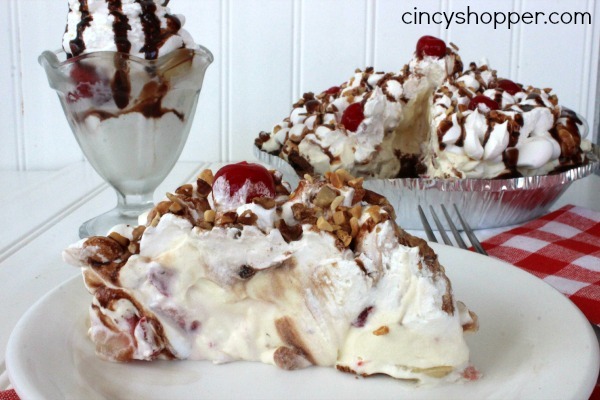 This Banana Split Pie is “off the charts” good! So good that I began thinking of all the weight I may gain this summer if I keep making these delicious pies, lol. 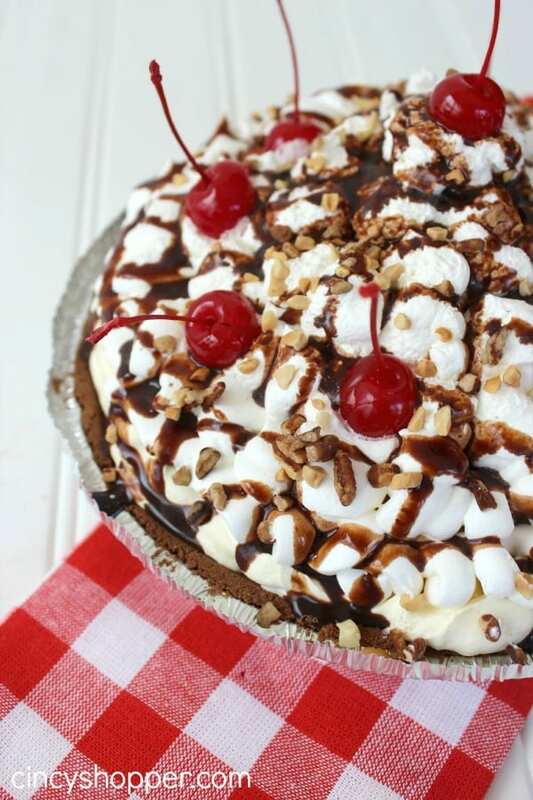 This pie is screaming “Summer”. When working the small ice cream stand I worked in high school and college I became slightly addicted to banana splits. YUM! There is something about Bananas, Vanilla Ice Cream, Pineapples, Strawberries, Pineapples, Chocolate, Nuts and of course a cherry on top that just has “Yum” written all over it. 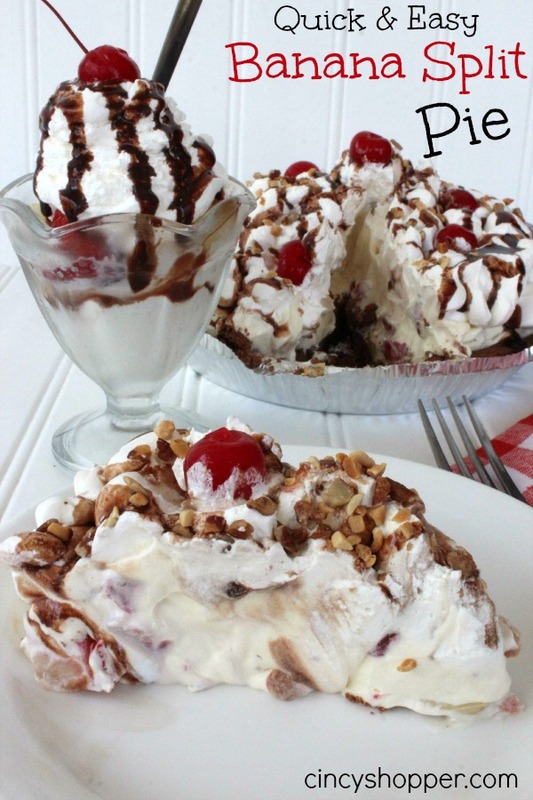 If you are a fan of banana splits this quick and easy Banana Split Pie Recipe is going to be one of your favorite pies to whip up this summer. 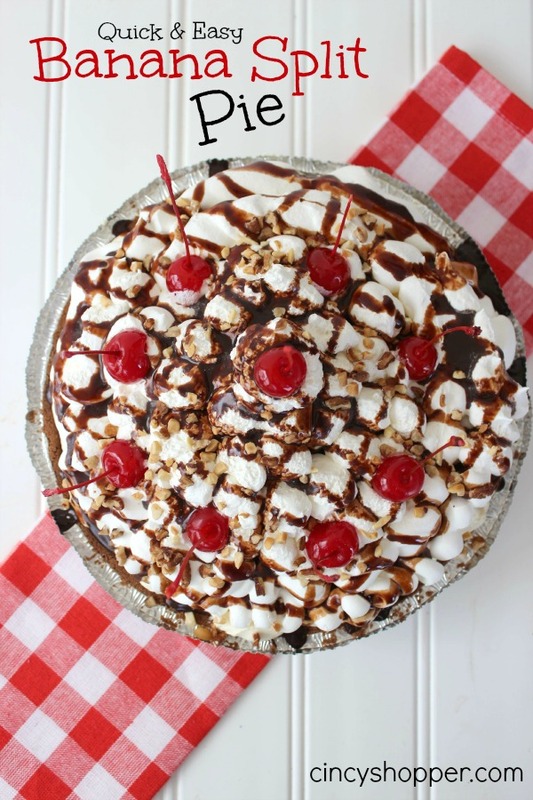 This pie is so simple to make. 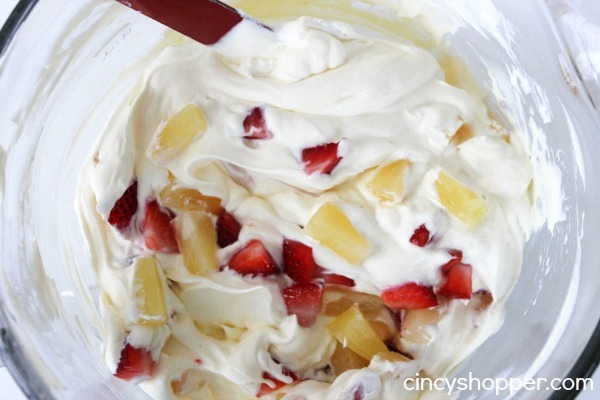 I love simple no bake pies in the spring and summer. No sense in heating up the kitchen and working all day to enjoy a yummy pie. This recipe starts with a basic Chocolate Graham Cracker Crust, you could always make your own with chocolate graham crackers or even Oreos. 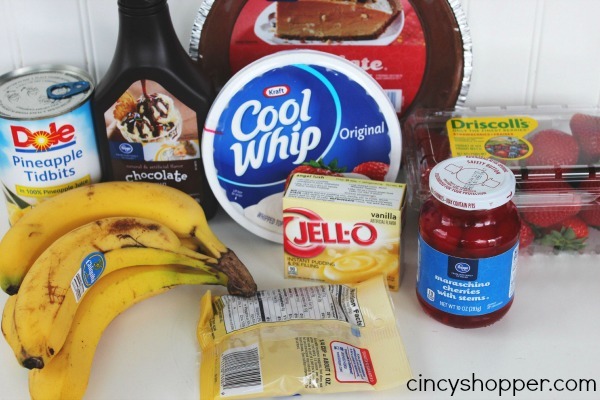 I then used vanilla pudding and Cool Whip for the filling. Then I loaded on all the great banana split toppings. I then chilled. Waiting for it to get a bit of chill before diving in was the most difficult part, ha ha! I am sure you can tell I had fun snapping pictures as I have included a couple more than usual. This pie was so fun and so tasty I could not resist adding on additional pictures. I enjoyed my slice as soon as I finished taking pictures and then we enjoyed the rest of the pie for dessert this evening. 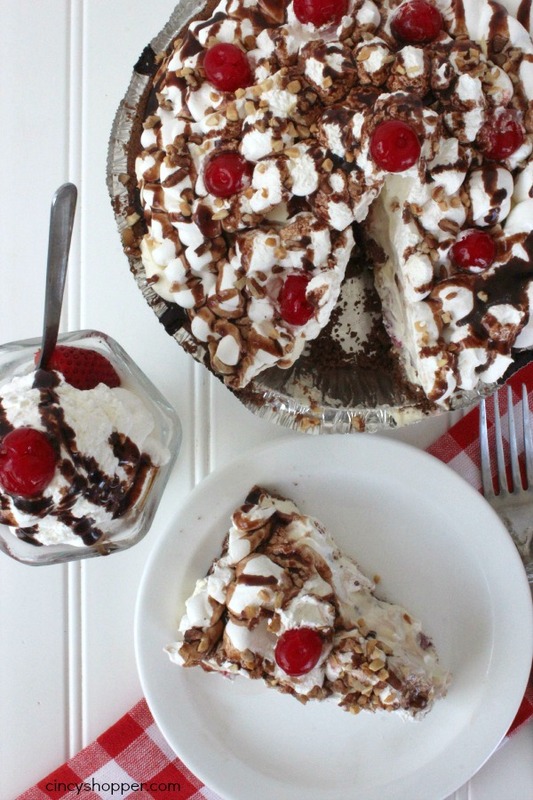 I know I will making this Banana Split Pie again and again (it is REALLY delish).